Casey is a member of Husch Blackwell’s Corporate, M&A and Securities group, where he focuses his practice on tech startups and other high-growth companies. 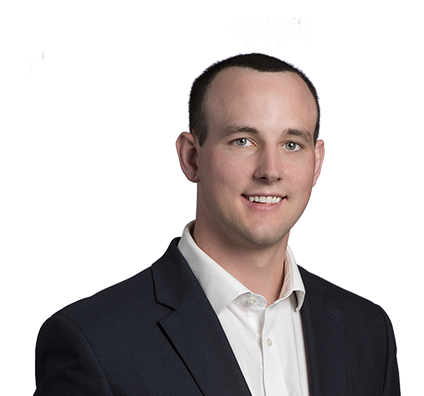 Casey is closely involved with the Startup Collaborative in Omaha and is a member of Husch Blackwell’s FRWRD team, which focuses on providing innovative and streamlined legal services to startups. He works with individual entrepreneurs and growth-stage private companies through every step of their process, including on matters of corporate formation and structuring, complex shareholder agreements, debt and equity financing, third-party contracts, regulatory compliance, corporate governance and exit strategies. He also has experience working on terms and conditions of use and privacy policies as well as preparing technology licensing, independent contractor, consultant and nondisclosure agreements. Outside of the firm, Casey is the co-founder and president of a startup venture that designs mass-producible prosthetics for international amputees. American Bar Association, Months-in-Brief: Mergers & Acquisitions, "Delaware Supreme Court Affirms Chancery Court Decision Allowing Termination of $4.75 Billion Merger Agreement Based on Material Adverse Effect"
ABA Business Law Today Month-In-Brief: Mergers & Acquisitions, "Caveat Emptor Reaffirmed by Delaware Court of Chancery"
American Bar Association, Month-In-Brief: Mergers & Acquisitions, "Unknown Technical Defects Not Enough to Unwind $170 Million Merger"